This started off as Stuffed Round Zucchini. I thought it would be cute, perfect for Instagram, and a tasty meal. But then I rethought the idea. I decided to not stuff it but make the dish into a pie. Easy prep work. 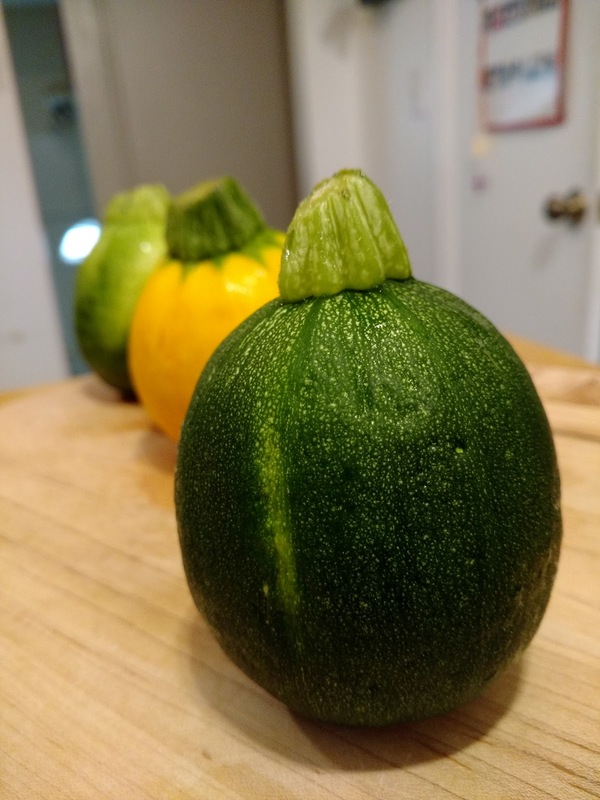 I cut the zucchini as if it was an apple being sliced for a pie. I sauteed chopped onions and then added the meat, cooking it through. 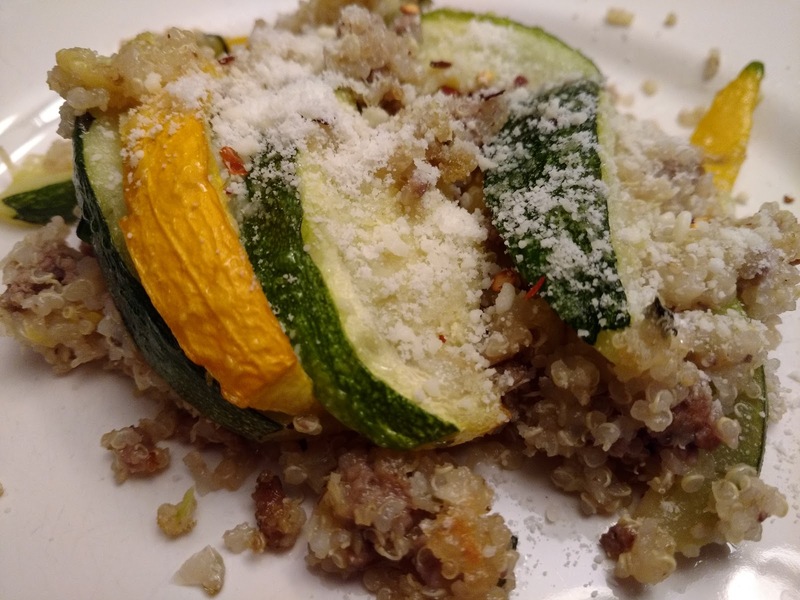 I chopped up some of the slices of the zucchini and added that to the pan. Seasoned with salt, pepper, oregano, parsley, basil, and some parmesan cheese. I put that aside and wiped out the pan. Adding more oil to the pan I sauteed the zucchini slices. 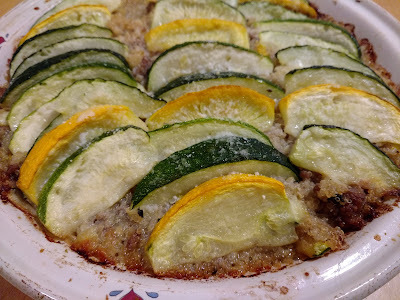 The meat mixture went into a pie dish and it topped the filling with the zucchini and a sprinkling of cheese. Into a 375˚ oven for 20 minutes. Delicious!